Every dollar earned, every daily task that contributes to your household running smoothly, every investment…all of it factors into the security and stability that you and your family rely on each day. A life insurance policy helps to ensure that in the event something happens to you, the needs of your loved ones can be provided for up to the amount you feel you are worth. Or your family can be provided for based on the policy amount you choose. Thus Life insurance can help provide for the people who depend on you financially, if you can’t be there for them. The money can be used for final expenses, help to replace your lost income, cover debts, pay your mortgage, fund a child’s education, and more. If you think about it for a minute, you insure everything that’s significant in your life; why not insure yourself? You are priceless after all (or at least pretty close to priceless). Life insurance helps provide you peace of mind and can provide your family with financial stability and security when it matters most. 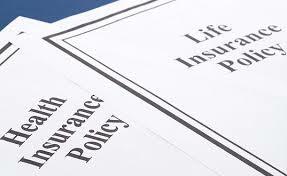 Term Life Insurance is a low-cost way of obtaining maximum coverage. Protection is provided for a specified number of years and the insurance expires without value if the insured lives beyond the policy period, usually 5 to 20 years. The premium will not increase during the guaranteed policy time period you select. Universal Life Insurance offers great flexibility. Policyholders can determine the amount and frequency of premium payments: the more you pay, the less time you will need to pay. Premiums cover the insurance expenses along with a savings or investment component. The stated interest on the investment portion changes to reflect the current conditions. Whole Life Insurance provides permanent protection from the date of policy issue to the date of the insured’s death, provided the premiums are paid. Premiums are set at the time of policy issue and remain level for the life of the policy.